VH-INK. Bristol 170-21E Freighter. c/n 12735. Entered onto the British Aircraft Register as G-AHJC - ? VH-INK. 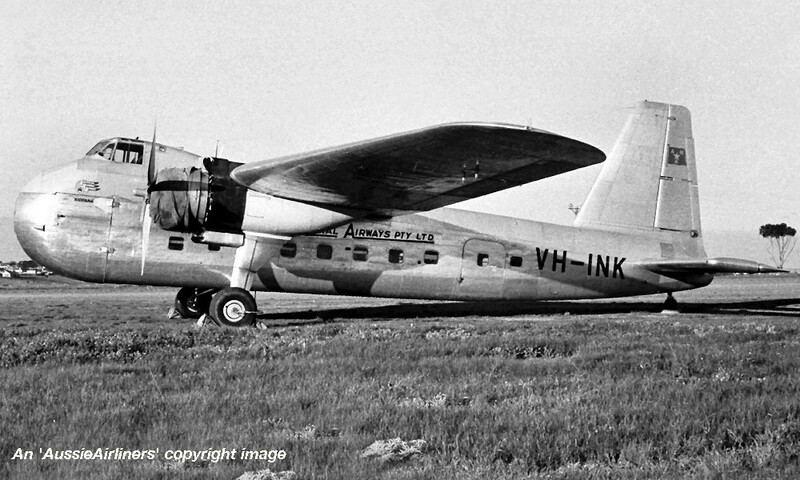 Australian National Airways Pty Ltd - 'Kiopana' in the original livery at Melbourne Essendon Airport, date unknown. VH-INK. 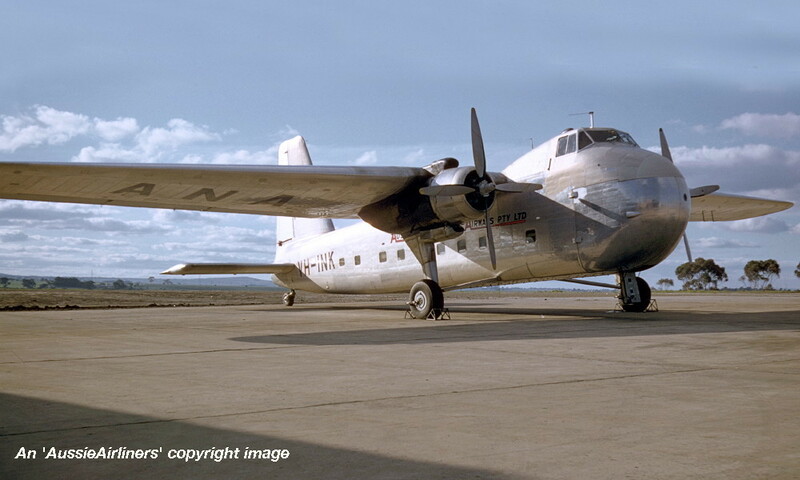 Australian National Airways Pty Ltd - 'Kiopana' in the original livery at Melbourne Essendon Airport, August 1956.